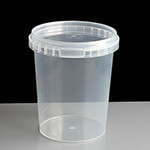 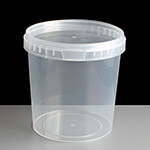 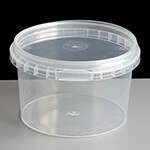 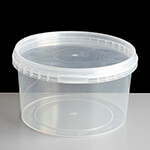 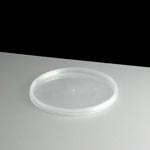 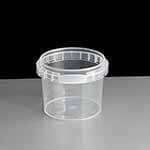 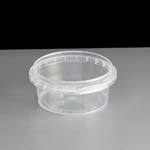 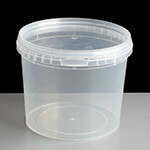 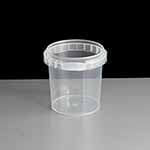 We offer a range of square, round and rectangular tamper evident / tamperproof food containers and lids which are fully leakproof, microwave oven and dishwasher safe. 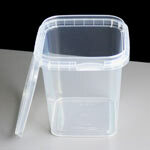 They are made from BPA free polypropylene and are widely recyclable. 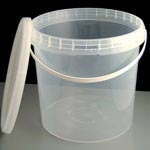 We have various sizes from 60ml through to 10 litre tubs, ideal for spices through to bulky items such as bird food, paints and everything else in between. 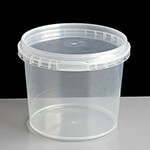 No special technique is needed to make the containers tamper evident, just press the lid down firmly and your container is now tamper evident! 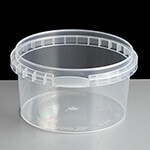 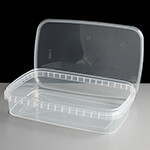 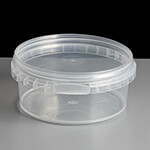 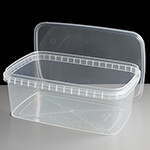 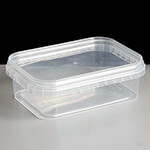 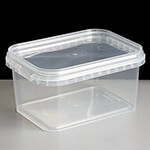 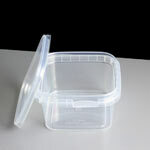 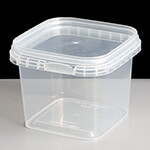 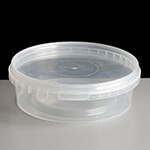 Unlike similar containers on the market, you cannot remove the lids without breaking the OPEN tab off the container. 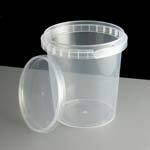 This should satisfy any visits from Trading Standards officers and is a low cost way of entering the retail take away food market. 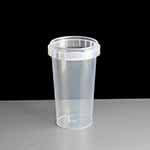 Please choose from the range below or filter the options using the menus on the left including the shapes and sizes. 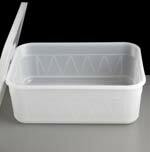 The containers are Ideally suited for home made soup, gravy, sauces, dips, coleslaws etc - any food that will be sitting on a retailers shelf. 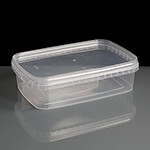 Available in both box and pallet quantities, when ordering pallets please note that the lids are sold separately and can be found lower down this page. 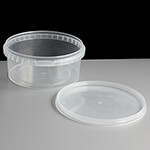 We can of course provide standard and bespoke food packaging labels to finish off the presentation of your product. 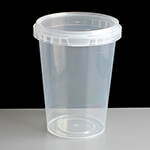 The vast majority of our tamper evident containers are manufactured in Denmark by leading injection moulding manufacturers Toppac. 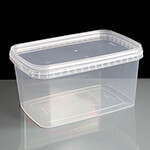 They are BRC Global Standard certified issue 5 (high hygiene risk, Grade AA) so manufactured to the highest possible standards.